Calling future architects! Sharon Hughes and Jeremy Cutts represented Williams Blackstock Architects at Helena Intermediate School Annual Career Day. After a short presentation on the Day in the Life of an Architect, the kids got into groups to complete an activity. Each group represented a design firm, and were given a client who needed an addition on an existing house. The students were tasked with adding 2 additional bedrooms and a playroom, as well as whatever they thought they should have been added to the project. 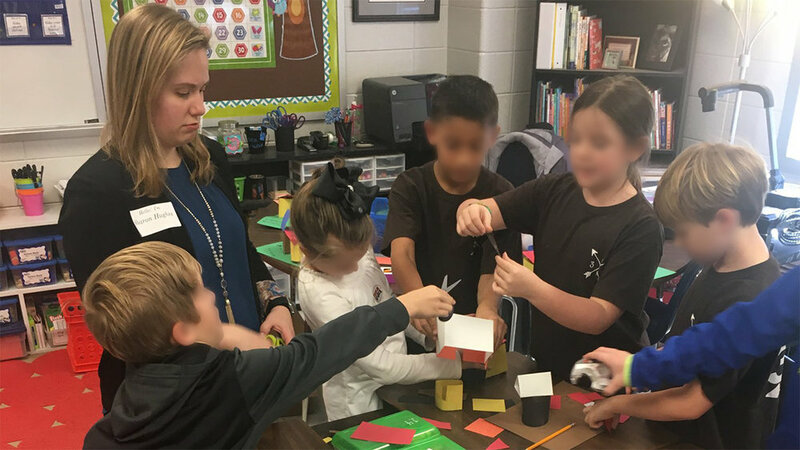 After drawing their additions out on a site plan, the students were then asked to pass their design to the next group, and the other group had to build what was drawn. This activity gave the students a glimpse into how we work every day, by designing in teams and working together with the builder to bring a client’s vision to life.